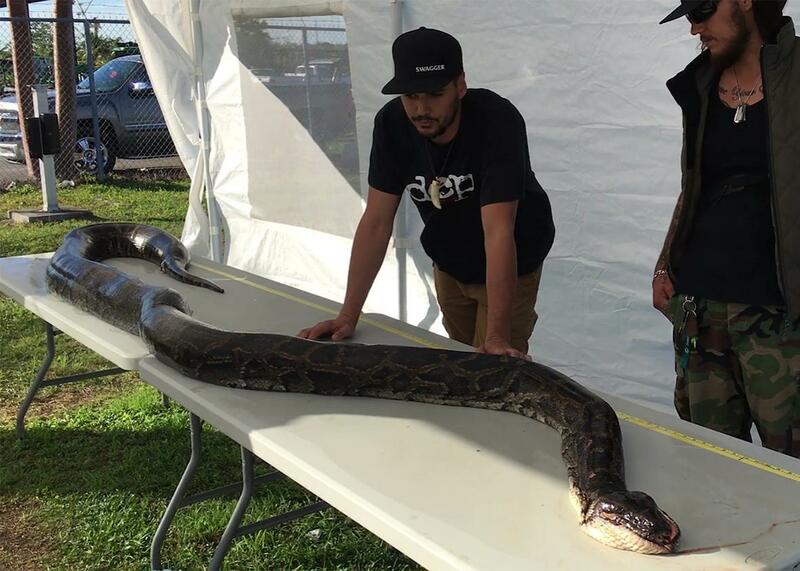 Could the 17-foot python swallow the avocado as big as your head? And would it want to? Is this python hungry for avocados? Beyond the omens-and-portents quality of giant snakes and giant avocados appearing in the same week—and really, what doesn’t seem like a sign of impending doom these days?—the simultaneous appearance of a giant serpent and a giant avocado raises one very important, very scientific question: Could the 17-foot Burmese python swallow the gigantic avocado? It’s not for me to speculate as to whether this gap in scientific knowledge stems from a deliberate cover-up on the part of Big Avocado or Big Python. Rather, my mission was a simpler one: to bring the correct answer to Slate’s readers before a plague of avocado-eating pythons devastated the country, particularly avocado-loving millennials. 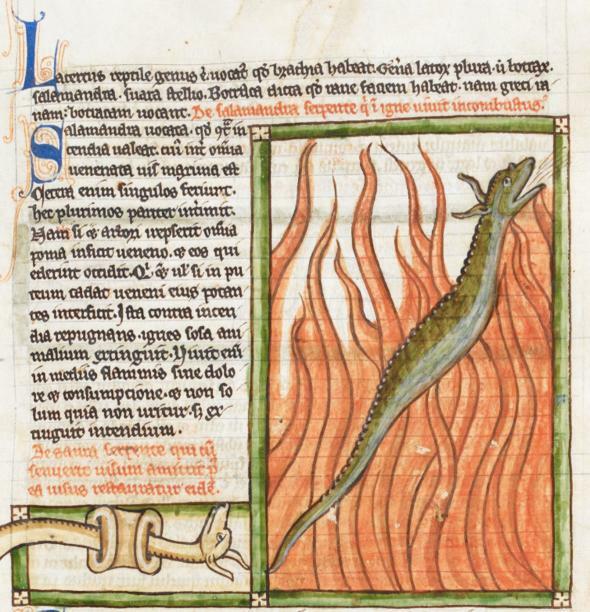 As Medieval scholars well knew, but we have apparently forgotten, serpents, including the Burmese python, have long, dog-like ears and enjoy flying through the air over open flames, calling out merrily to their fellow snakes, presumably in Latin. Although this did not have a direct bearing on the question of Burmese pythons swallowing avocados the size of human heads, it is difficult to explain the tell-tale bulge in the serpent’s belly as anything other than an avocado (or, perhaps, several avocados). Conveniently, this also explains why human-head-sized avocados were such a rare ingredient in medieval cooking: the flying, talking, dog-eared Burmese pythons ate them all! Based on what I saw in the video and my knowledge of large snakes, I’d estimate that a 17 foot Burmese has a head about 8 inches long. That means it can essentially ingest something roughly 16 inches in diameter, more or less. The avocado looks to me to be about 6–8 inches in diameter. Its shape makes it much easier for a snake to eat—if it were the same volume, but a sphere, it would be a lot harder. - However, snakes are purely carnivores. It would never, ever eat an avocado. Or a watermelon or a head of lettuce. You’ll notice that Professor Shaffer’s response does not rule out the possibility that the flying, talking snakes of the thirteenth century enjoyed eating giant avocados, so expect my findings on that matter to be published in a leading scientific journal soon. However, the 17-foot Burmese python recently discovered in Florida, according to Professor Shaffer, could eat the human-head-sized avocado recently discovered in Hawaii, but would choose not to as a matter of personal preference. Lending credence to Professor Shaffer’s theory is one additional piece of evidence: the 17-foot Burmese python was shot in the head upon capture, and is reportedly dead. Although research in the matter is not definitive, scientists have long argued that dead snakes don’t eat much of anything at all, not even delicious, enormous avocados. Which raises another question, even more important: could the avocado the size of a human head eat the 17-foot Burmese python? Probably not, at least not that particular avocado: it’s already been picked and eaten. However, especially in the case of dead 17-foot Burmese pythons, it seems plausible that an avocado tree could, in a sense, eat the python, by absorbing nutrients from its corpse as it decomposed and was reabsorbed in the soil. According to the California Avocado Commission, the plant’s roots are only six inches under the surface, making them ideal for sucking up every last bit of nutrition from dead, 17-foot Burmese pythons, and it seems plausible that a well-irrigated, python-rich soil would help produce more avocados the size of human heads. Advantage: avocado! The results, then, are clear and irrefutable: avocado growers should immediately wrap dead, 17-foot Burmese pythons around the trunks of each of their avocado trees near the base, water normally, and wait patiently for a crop of human-head sized avocados. Burmese python problem: solved. Tiny avocado problem: solved. Flying, talking, fire-loving serpent problem: not an actual problem. As the odor of rotting snakes wafts over the human-head-sized avocado orchards of tomorrow, we should all remember who to thank: science.